Connie Record, RN in 1957 in southern Missouri. Darryl’s mom’s funeral was held on October 1. We couldn’t attend because we could not have found an airline ticket and flown to Missouri in time. Since she was a committed Christian, Darryl thinks of her funeral as a graduation ceremony. 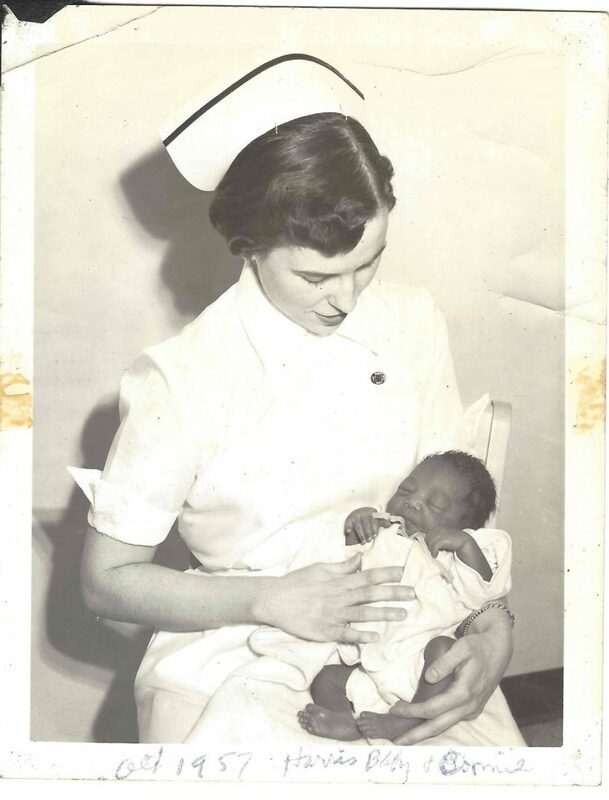 He misses her greatly but is proud of her accomplishments in life as a pastor’s wife, nurse, strong missionary sender, and mother of 7 (Darryl is the youngest). Just as none of us would want to return to high school or college after graduation, Darryl is comforted in knowing that his mom is much happier in heaven than she would be if she had to continue living on earth. Darryl’s sister-in-law requested that he make a video about his memories of her. You can watch it here. 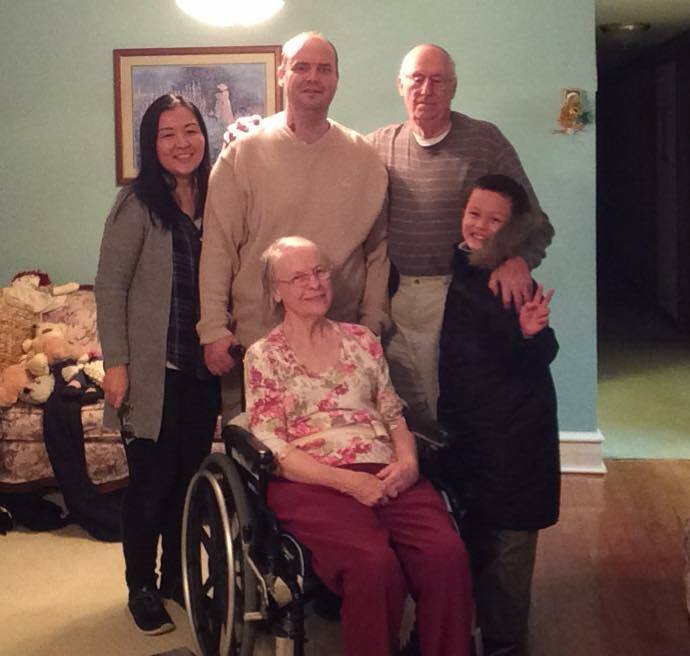 Darryl’s International Fishers Christians Apologetics media ministry continues to grow. Darryl has made so many evangelistic/apologetics videos in the Cambodian language that he has pretty much exhausted most of the topics covered in the book he co-authored with a Medical Doctor a few years ago entitled Christianity: Reasons for Faith. The only way to find new challenges against the truth of Christianity, for new topics, was to join a few apologetics and Christians debate Atheists Facebook groups. Mostly Darryl just observes the debates for video ideas. However, a few times Darryl has felt led to post or comment. On at least three or four different occasions in the last month, belligerent atheists have come at him with a lot of prejudices and hostility but little evidence or logic. In all cases, Darryl applied 1 Peter 3:15 in his responses (sanctify Christ+defense+gentleness and reverence (respect). After a few rounds, the conversation invariably led Darryl to post something along the lines of, “salvation is a free gift. It must be freely given and freely received. I have no intention of forcing anything onto you. etc.” In all these exchanges, the atheists’ anger was so blunted that they thanked Darryl for his kindness and told him that he was a rare example of the Christians that they usually encounter. Usually, after that, the atheists would stop the conversation before they could be given the Gospel, but their minds had been opened a little bit, their hearts had been softened a little bit, and a few seeds had been planted. In the past month, Darryl has been able to write a few video scripts on the following topics: 1. How to Know the Truth 2. Prophecies the Jesus Christ Fulfilled 3. Did the Tower of Babel Really Exist? 4. The inspiration of the Bible. Darryl has found four Cambodian Christians who can volunteer to translate his scripts or translate them for only $5 per page (university students). In addition, Darryl still has his partnership with his Khmer narrator and has made additional connections to other Cambodian Christians who can help with videography, acting, and post-production. In other words, Darryl finally has the opportunity to make professional quality videos! However, in order to fully take advantage of these opportunities, Darryl will need more financial resources because some of these Cambodians can afford to volunteer and others will need a small stipend (poor college students etc.) and there is also a need for funding for props, locations, and equipment rentals/purchase. Last week, Darryl attended a three-day video training course at our International Church. 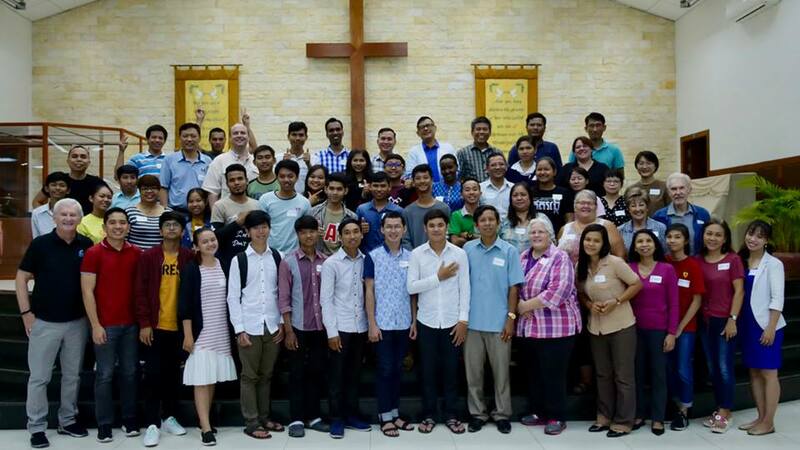 Christian media experts (one was a Ph.D. professor who has made videos for Disney and the United Nations) came and trained around 70 Cambodians and Missionaries in video production and social media. Darryl’s team produced a two-minute video to minister to women who have had abortions before they received Christ but still feel guilty. The script idea came fro m a Kenyan Christian lady. She had never used video editing software before. Darryl showed her the basics and she did 95% of the editing. You can watch it here. Darryl was invited to give his testimony about growing up in a Christian home and nearly leaving the faith in college (88% of Christian home kids do). He also shared about his books, radio program, teaching, videos, website, and social media. Several missionaries and Cambodian Christians are interested in partnering with him in the future. Please pray that God will open and close the doors for these partnerships. Kayo continues to be more and more involved with Precious Women ministry which evangelizes and re-trains women who work in bars and nightclubs who are at risk of sexual exploitation. She also is planning a large outreach/fundraising concert for Food for Hungry Japan and Kone Kmeng Children’s ministry (evangelizes and educates children who are at risk for child-labor and child-prostitution) in June 2019. A Christian, world-class flute player, will come from Japan for the concert. Benjamin is doing well in school and is making friends. He enjoys frisbee club and is learning some unusual throws. 2 1/2 years ago, we had to sell his bicycle before he was ready to take off the training wheels. 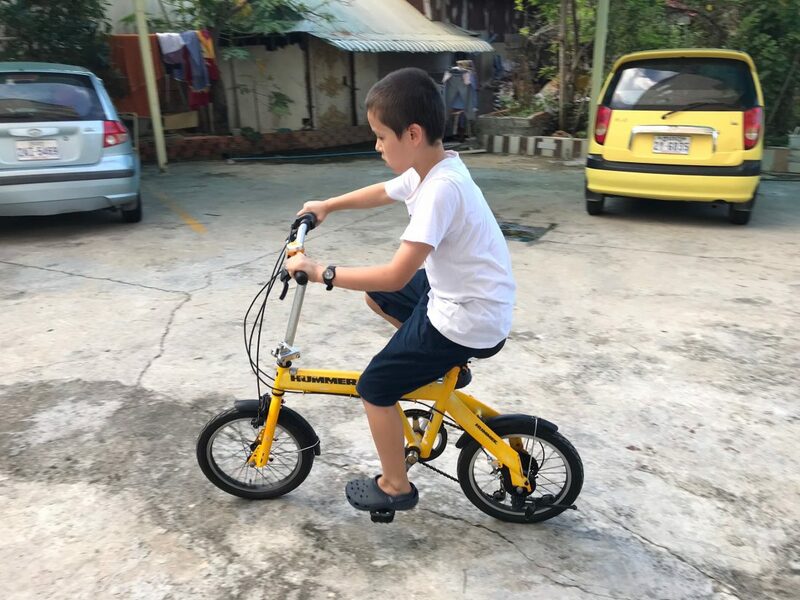 We finally got him a new bicycle last week. Within a day, he was riding on his own like a boss! Please pray for our finances both in the short term and in the long term. Many of our most generous and faithful financial sponsors are either close to the end of their lives or are retiring. As a result, their financial donations will either end or decrease soon. We need to replace between $400-600 monthly ASAP just to break even in the short-term (more is needed over the long-term). Please pray that God will raise up new/younger senders and churches as well as give wisdom about alternative funding streams.